Each year, rewards students for their scholastic achievements. Students are motivated to dream, achieve and grow while utilizing scholarship funds to obtain a degree from the university of their choice. 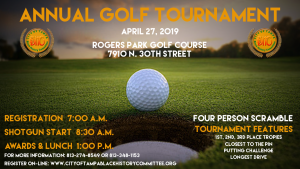 This year, COTBHC partnered with the Mayor’s African American Advisory Council to create a new scholarship for students residing in the City of Tampa.